With these convenient 2 in 1 taper sets you can kill 2 birds with one stone. You do not only get a classical premium stretching tool but you also get the flesh tunnel that fits to the size of the expander. How does this work? At the thick end of the taper there is a thread on it. On this screw thread you just need to put the flesh tunnel and you are ready to go. Afterwards put the taper with the mounted flesh tunnel into your earlobe piercing, stretch it until the tunnel is placed into your earlobe piercing, afterwards unscrew the tunnel taper from the flesh tunnel and screw the other part of the flesh tunnel on the tunnel jewelry. That´s all. ...But this one is not. :-) Although you schould be very careful and especially patiently with stretching your earlobe piercing using a 2 in 1 taper kit is definitely one of the easiest ways to the flesh tunnel scene. The most important aspects of tunnel stretching are: Only stretch in small steps to prevent your skin from beeing affected. If you currently only have a classical earlobe piercing please start with 1.6mm piercing jewelry. When you don´t feel any tension at your earlobe piercing any more you can start stretching your earlobe piercing with 3 mm tapers. For this our 2 in one tunnel taper kits are perfectly suitable. The second stretching tip is to start at the right moment. The perfect moment to start ear stretching is after you took a bath or a shower. This way you can make sure your skin is very soft and flexible and the taper can be placed easily. Our two in one tunnel taper sets are especially suitable for beginners. That is why our stretching kits already start at a size of 3 millimeters. After you started stretching and your piercing has healed again you can further expand your earlobe piercing up to your desired size. For this you just need to buy a new 2 in 1 stretching kit that is one millimeter bigger. 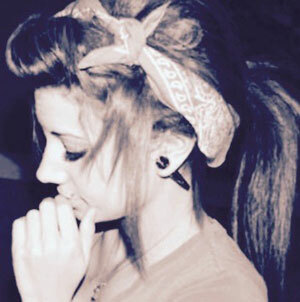 Here at flesh tunnel shop we offer 2 in one taper sets made of 2 different materials and in three colours. The enormously lightweight acrylic plastic taper kits are available in black and white. Fans of premium 316L surgical steel will also get their money´s worth. Our stainless steel kits are available in beautiful scratch resistant silver and the sizes range from 3mm to 20 millimeters. No matter which 2 in 1 starter kit for flesh tunnels you like the best with flesh tunnel shop you can be sure to have the best ear stretching assistant available.